We recently made an exciting update to our PGA Golf Pools that will give you more flexibility in format. For example, you could choose to separately award the persons who had the best players on Thursday, on Friday, on Saturday, and on Sunday’s round. 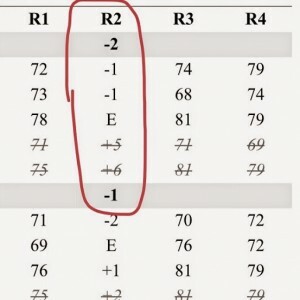 The above example shows round the round 2 scores sorted. This is increased flexibility over our standard sort options of cumulative strokes to par or dollar earnings at the end of the tournament. We are constantly evaluating ways to make our site better. Email easyofficepools@gmail.com if you have suggestions for new features we should add to golf pools or anything else that would improve your experience on our website.